You stay up late to celebrate one second. Chances are you'll get hungry along the way. Preparing a New Year's Eve meal that allows hours of dining joy is the way to go. For this reason, you might want to cook up something big, like a prime rib roast or a turkey. You might also head towards some traditional barbecue in the form of brisket, pulled pork or BBQ ribs. Take a look at these options for a celebratory menu. Grilled Lobster Tails. Sabrina S. Baksh/Regarding BBQ, Inc. 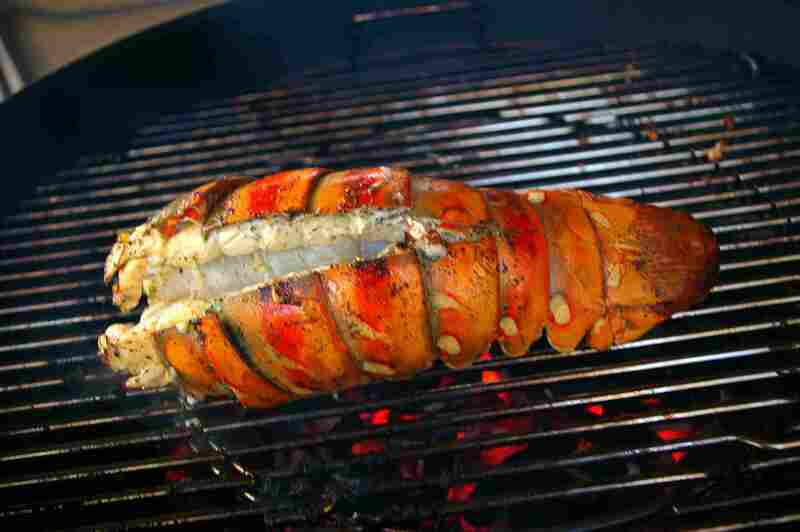 This grilled lobster tails recipe is perfect for any occasion. If you don't have a lot of experience grilling shellfish, then this recipe is for you. Quick and easy, this is a fantastic lobster than only takes moments to prepare. This is a delicious herb-marinated grilled jumbo shrimp recipe. The secret to grilling shrimp is to keep a close eye on them. Shrimp cook fast enough for you to keep the lid up and an eye on them at all times. Overcooked shrimp are rubbery so take them off the second they are done. Slow Roasted Prime Rib of Beef. There's nothing quite like prime rib. This one is slow roasted, making it even more tender. There is a simple, but flavorful rub which will give you a great gravy afterward. Beef kebabs work well because all of the ingredients in this recipe will be cooked to perfection at the same time. The marinade not only adds flavor but keeps the small pieces of top sirloin from drying out. This meatball sliders recipe makes a lot but is well worth it. The tomato-roasted red pepper adds a nice, bright flavor to the meatballs. These meatballs are perfect for cookouts, game nights and holiday parties. This is a great fusion dish inspired by both Indian and Chinese cooking. Don't be afraid of the spicy part. The chili sauce is relatively mild and the sweetness of the sauce offsets this component quite nicely. Serve with rice pilaf or fresh naan bread for a delicious vegetarian meal. Chinese-Style Ribs. Sabrina S. Baksh/Regarding BBQ, Inc. This Chinese-style rib recipe utilizes the deep flavors of hoisin and five spice powder, coupled with the saltiness of soy sauce and a light, sweet flavor of honey. Baby back ribs are perfect, since they are smaller, packed with meat and provide a better presentation. This honey-glazed smoked ham is a great way to take a regular cooked ham and turn it into something spectacular by applying a spicy rub and placing it in a smoker. Let it smoke for a long while and it will taste great. Super Smokers' Sweet and Spicy Chicken Wings. Garlic Butter Shrimp. Regarding BBQ, Inc. If you enjoy shrimp scampi, then this is the grilled shrimp recipe for you. You can serve this dish as part of the main course or serve them as appetizers. Marinated London Broil. Regarding BBQ, Inc. This classic recipe for London broil is marinated in wine and vinegar, which makes it extra tender. If you really want to make it authentic try getting a ​flank steak. Very Best Buffalo Wings. Regarding BBQ, Inc. These grilled buffalo wings take the classic appetizer to a new level with a marinade that keeps them moist and tender. These wings are also full of flavor. Herb-Crusted Filet Mignon. Regarding BBQ, Inc.
What can be better than filet mignon? It's delicious and tender. This herb-crusted filet mignon recipe calls for dried herbs though you can substitute ​​with fresh herbs instead. If you are going to do so, double the amount that the recipe requires. Skewered Bacon Wrapped Asparagus with Chipotle Blue Cheese Sauce. Sabrina S. Baksh/Regarding BBQ, Inc. This is a great way to prepare bacon-wrapped asparagus on the grill. Quick and easy, with few ingredients. What more can you ask for? This skewered bacon wrapped asparagus is a perfect dish for any holiday gathering and it can be put together at the last minute. Grilled Margarita Shrimp. Sabrina S. Baksh/Regarding BBQ, Inc. Remember that an injection sauce is a marinade and needs to spend some time with the meat to work best. You should plan on using this injection marinade several hours before you start cooking. This grilled margarita shrimp is great with any kind of poultry, particularly turkey. Grilled Pear and Sweet Potato Salad. Sabrina S. Baksh/Regarding BBQ, Inc. This grilled pear and sweet potato salad recipe is truly delicious. The combination of sweet potato, pears, and dressing marries well with the feta cheese. While this salad benefits from the peppery flavor of the arugula, you can substitute this with your favorite salad greens. New Orleans-Style Barbeque Shrimp. Sabrina S. Baksh/Regarding BBQ, Inc. While New Orleans barbeque shrimp is usually baked in an oven, why not take it to the grill? Similar to the method of grilled shrimp scampi, these shrimp are placed in a cast iron pan for cooking. Sop up the sauce with lightly toasted bread or serve with rice. From the time of Napoleon comes this recipe for a great meal. Traditional Chateaubriand is not a cut of beef like many people think, but a recipe for grilled beef tenderloin.